Featuring the all-new Tiger 2 piece Dynamic Core hub and Neothane urethane, the Presto sets a new standard for performance. Instead of having a single hollow cavity, the Tiger has channels, which offer support to every part of the wheel’s surface while keeping it extremely light. The result is a fast and aggressive ride. 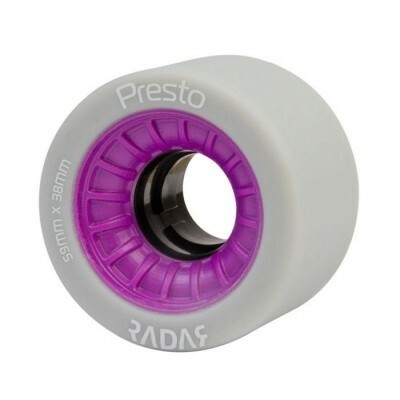 The presto offers the previously unattainable combination of lightness, speed, grip and controlled stops.